LG has officially launched LG Q6 in India. It comes with a 5.5 inch 2160 x 1080 pixel display with a 2:1 (or 18:9) aspect ratio and has very slim bezels. LG Q6 is powered by Qualcomm Snapdragon 435 Processor with 3GB of RAM and 32GB of storage. On Camera, it has a 13MP Rear camera and 5MP front camera.Dual SIM device runs on Android 7.1.1 Packed with a 3000mAh Battery. The width, length, and thickness of the product are 69.3mm, 142.5mm, and 8.1mm, The design of the LG Q6 has also inherited the refined elegance of the LG G6. From the front, you can feel the unity of the product's rounded corners and rounded full vision corners. The backside is treated with a curved edge so you can feel a good grip when you hold the product in your hand. Commenting on the launch, Amit Gujral, Chief Marketing Officer, LG Electronics India said:LG Q6 is a perfect example of Usability and Aesthetics. It offers Full Vision Display (18:9) which happens to be first in Industry at the price point it offers. With the introduction of this new range, we have ensured that consumers are able to enjoy the best of technology from the house of LG at price points that are well-suited to all of them. The bold, innovative features of the phone will provide an unmatched smartphone experience to them. Now every user will have a personalized product experience with the new Q6 range. 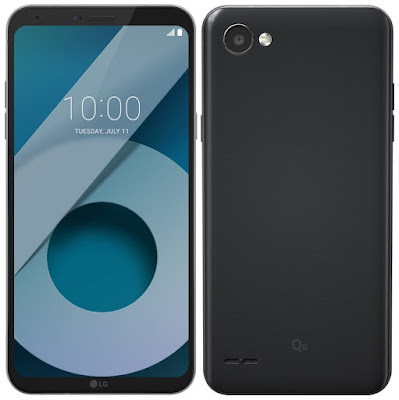 Commenting on the partnership, Noor Patel, Director Category Management, Amazon India, said:In line with our vision of constantly expanding selection and enhancing choices for customers, we are delighted to be offered exclusive access to the first phone under LG’s much awaited ‘Q series’, the LG Q6. Smartphones are one of the fastest growing product lines and have repeatedly been one of the top selling categories on Amazon.in. LG Q6 comes in Astro Black, Ice Platinum and Terra Gold colors priced at Rs. 14,990 and will be available exclusively from Amazon.in starting August 10th. It comes with up to 50GB additional data for Jio customers, one-time free screen replacement within 6 months, Rs. 3,200 worth of in-game freebies. Excellent Phone.FULL VISION Display camera and hardware part are awesome.5.7its compact and Easy holding.